Happy holidays and a Happy New Year from the NISE Network! Science in the News: Scientists accidentally discover efficient process to turn CO2 into ethanol, How nanotechnology will change the future, NASA's peer reviewed EM Drive paper finally published, Excited about the new "Hidden Figures" moving coming out soon?, 2016 ends with three supermoons, NASA's Night Sky Network: What's up for December 2016, Did comets kickstart life on Earth? What's the hottest item of the 2016 Holiday Season? The Nano mini-exhibition refill kit, of course! The NISE Network has developed a kit of resources to replenish select components of the Nano mini-exhibition. Partner sites that own a copy of the mini-exhibition have all confirmed their shipment details, and delivery of materials should take place in mid to late December 2016. Learn more details about what the refill kit will include and additional digital resources available for download. 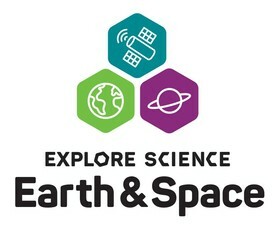 We received over 250 partner applications for a physical 2017 Explore Science: Earth & Space toolkit and have been diligently reading through them. Toolkit award announcements will be coming soon with toolkits being shipped by late January 2017 to successful applicants. Digital materials for the toolkit will be available for free download on nisenet.org in February. 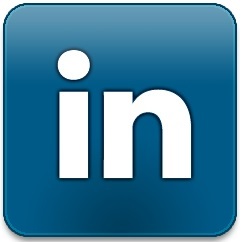 By Bonnie Everts, SELF International, Inc. In September, SELF International delivered informal STEAM (Science, Technology, Engineering, Art, Math) educational opportunities and resources directly to underserved communities through its mobile discovery program by hosting a Building with Biology hands-on event and forum at FLEX Academy in Richfield, Minnesota. Richfield has a large Latino population and FLEX Academy has a diverse enrollment with a majority representation of Latino students. By moving our free and accessible events into under-represented communities it allows us to overcome obstacles for students and their families to experience new educational exploration they might not otherwise have the opportunity to participate in. Read the full Partner Highlight about SELF International's mobile discovery program bringing STEAM opportunities to underserved audiences. BioBuilderClub, a synthetic biology after-school program for high school teams around the country, kicked off the academic year on October 13th with an event held at Metropolitan Waterworks Museum in Boston, Massachusetts. Participants enjoyed the Bio Bistro Activity, which led to lively discussions about utilizing synthetic biology for potential team projects involving food. BioBuilderClub seeks continued museum collaborative opportunities, in particular, to host local teams for a celebration of their projects during the "Final Assembly" event. Read the full Partner Highlight to learn more about BioBuilder's involvement in synthetic biology education. The Center for Applied Plant Sciences (CAPS) and the Arabidopsis Biological Resource Center (ABRC) at The Ohio State University (OSU) used the Building with Biology kit as an opportunity to engage in public outreach while building community partnerships. CAPS and ABRC have been exploring partnership opportunities with COSI, the science center in Columbus, Ohio, for the past few years. The hands-on activities included in the Building with Biology kit provided an ideal opportunity to work with COSI as a part of their annual Farm Days event, which brings the farm into the city for a five-day long celebration of agriculture and the opportunity to engage visitors in thought-provoking conversations about science. Read the full Partner Highlight for more about The OSU's collaborative Building with Biology event with their local science center. @GermJuggler took his #buildingwithbiology program to @bgcjcmo, writes @fultonsun. Keep inspiring the youth, Dave! Volunteers from #TeamGMCares stopped by for Featured Friday! Tea cups, balloons & sunscreen were used to demonstrate #nanotechnology. @NISEnet activities have been a great way to engage our corporate volunteers. And who doesn't love tiny teacups? 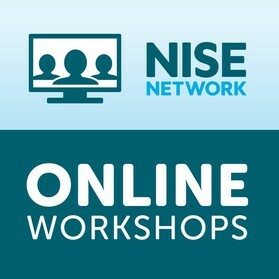 → Upcoming NISE Network Online Workshops - View NISE Net's Online Workshops Events Archive for upcoming online workshop details, as well as recordings and resources for past online workshops. Scientists at the Oak Ridge National Laboratory in Tennessee were attempting to find a series of chemical reactions that could turn carbon dioxide (CO2) into a useful fuel. During this process they instead discovered a chemical reaction and technology that directly converts CO2 into ethanol, which can be used to power generators and vehicles. The technology uses a new combination of copper and carbon arranged into nanospikes that act like tiny lightening rods on a silicon surface in the conversion process, which is operational at room temperature making this technology efficient for energy storage. Go to the full article for more information and to watch a short video on this conversion process. Dr. Gamal Ahmed, Assistant Professor of Curriculum and Instruction at Cairo University in Egypt, spoke with IGI Global on how developments in nanotechnology are revolutionizing science in our era, having implications around the world - both positive and negative, and discusses the importance of integrating nanotechnology into educational curriculum. Read this short article by IGI Global. After months of speculation, the "impossible" Electromagnetic (EM) Drive propulsion system really does appear to work, with NASA's Eagleworks Laboratory team putting forward a hypothesis for how the EM Drive could produce thrust - something that seems impossible based on our current understanding of Newton's third law of physics - which states that everything must have an equal and opposite reaction. The EM Drive doesn't do this, or does it? Learn more about how this propulsion system could power us to Mars in just 70 days. Excited about the new "Hidden Figures" movie coming out soon? The new Hidden Figures movie, set to be released December 25th, features the story of Katherine Johnson and her fellow African-American female NASA colleagues, who served as the brains behind one of the greatest and ambitious space flight missions. Bring the excitement of their story to your classroom with the NASA Modern Figures Toolkit, which is a collection of resources and educational activities for students in grades K-12. What better way to close out the end of the year than with the final of three recent full "super"moons. The term supermoon refers to a full moon that is closer to Earth than average. Watch this short video by NASA that explains how the alignment of the Earth, moon, and sun in orbit create supermoons. Look up this December 14th for the last supermoon of the year. See Mercury, Venus, and Mars all month long and a New Year's Eve comet. With some luck, you may catch some Geminid and Ursid meteors, too [learn more in this short video]. Using chemical clues, this American Chemical Society Reactions science video discusses scientists' discoveries and research to back up this out-of-the-work hypothesis. Keep your visitors warm this winter season with these hands-on activities and programs. For even more inspiration for year-long events and activities, visit http://www.nisenet.org/seasons. Solar eclipse (August 21, 2017) - start planing now!